During my last visit to the Flemish coast it was a good time to see the shrimp fishermen. They only fish when it’s low tide. So they have to plan their fishing dates and time. 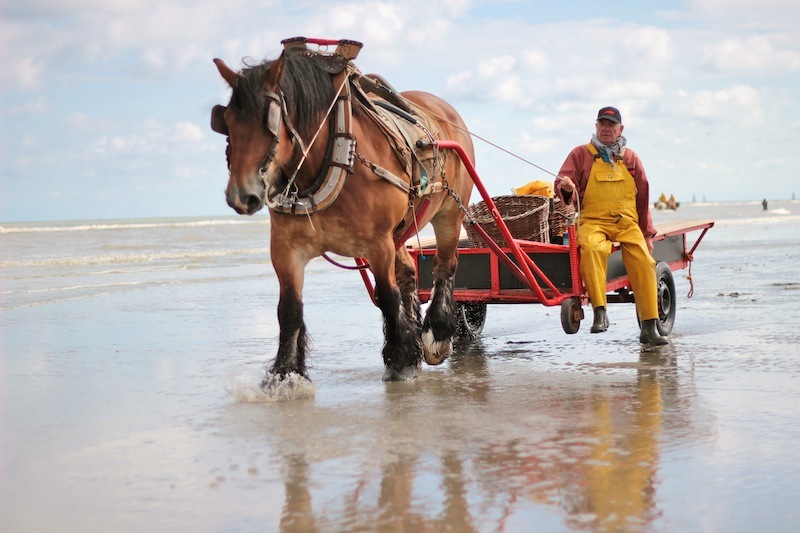 The fishermen use draft horses, mostly Brabantian or Ardennes breed. These peaceful and strong animals weigh about 1,000 kilograms and are perfect for the hard work of shrimp fishing. It’s very special and impressive to witness the horses drag the nets into the sea to catch the shrimps. 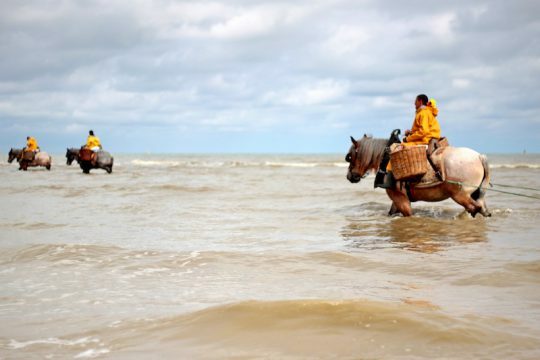 In 2013 UNESCO added shrimp fishing on horseback to their Representative List of the Intangible Cultural Heritage of Humanity. This authentic event in Oostduinkerke can be seen from March until November. Look at their website if you also want to witness this event.